Big Brother returns to CBS on Wednesday, June 25th and will continue on Thursday the 26th for a special two-night move-in event. Expanded interactive and multi-platform features will bring fans closer to the Houseguests with new Impact Votes, BIG BROTHER 24/7 Live Feed features and exclusive digital programming. CBS.com will kick off the season on June 25 with a new pre-premiere event, “BIG BROTHER Live Kickoff,” hosted by former Houseguest Jeff Schroeder at 7:00 PM, ET/4:00 PM, PT. Following the June 26 episode of BIG BROTHER, Schroeder will host the first “BIG BROTHER All-Nighter,” where he will live-tweet the first 16 hours of the BIG BROTHER 24/7 Live Feeds, which return to CBS.com with new offerings, including exclusive votes just for Live Feed subscribers. CBS.com’s “BIG BROTHER Live Kickoff,” Hosted by Jeff Schroeder, the CBS.com Pre-Show will air live exclusively online an hour before the east coast on-air premiere on June 25. The special event will feature commentary on the new cast and discuss some of the new twists fans can expect this season. CBS.com’s “BIG BROTHER All-Nighter” Event: The BIG BROTHER All-Nighter begins following the second night of the BIG BROTHER premiere on June 26. Schroeder will live tweet the action in the house for the first 16 hours of the Live Feeds. 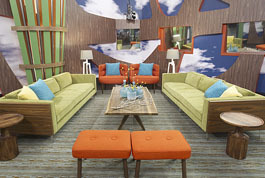 BIG BROTHER Live Feeds on CBS.com: The BIG BROTHER Live Feeds subscription service provides an exclusive, all-access pass to the BIG BROTHER house. Fans will have an opportunity to see all of the action inside the BIG BROTHER house when the Live Feeds begin on Thursday, June 26 at 10:00 PM, PT / 1:00 AM, ET. 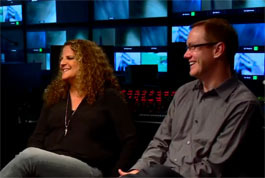 Along with all the features fans know and love – like subscriber-only web chat, four different camera feeds, a quad-camera view, live feed highlights and live stream playback – this year, BIG BROTHER Live Feeds subscribers will also have the chance to affect fun aspects of house life with exclusive Live Feed Votes throughout the season. In addition, CBS.com will add a Houseguest Tracker, so fans can keep tabs on their favorite Houseguests with comprehensive stat cards tracking everything from challenges to nominations. 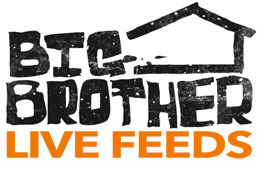 BIG BROTHER Live Feeds on Mobile Devices: In addition to watching the Live Feeds on CBS.com, subscribers will also be able to access the BIG BROTHER Live Feeds on mobile devices by visiting cbs.com/bblivefeeds/ from their mobile browser. The mobile experience will be enhanced this year with new features, including the ability to vote in the exclusive Live Feed Votes, and access to the Houseguest Tracker, highlights and social media feeds. BIG BROTHER on the CBS App: iOS, Android, Windows 8 and Blackberry users will be able to catch up on full episodes of BIG BROTHER on the CBS App the day after they air. Also, they’ll be able to follow the social media conversation around the show, view photos and get cast details. Full episodes and clips will also be available on CBS.com and across select CBS Audience Network partner sites. CBS.com’s “BIG BROTHER Live Chat”: The weekly “BIG BROTHER Live Chat” web series will return with host Jeff Schroeder. Every Friday at 12:00 PM, PT, Schroeder will take questions directly from fans via BIG BROTHER Connect and interview Houseguests and series experts in a live streaming chat.